Arcadia London 2019 has been cancelled, with the team intending to focus on their Glastonbury involvement. The lavish dance event utilises cutting edge technology, matching explosive effects against specially curated DJ sets. Arcadia have a long-standing partnership with Glastonbury, and given the festival's fallow year in 2018 launched a London event. Set to return this summer, Arcadia London 2019 has been cancelled in order for the team to focus on their Glastonbury experience. 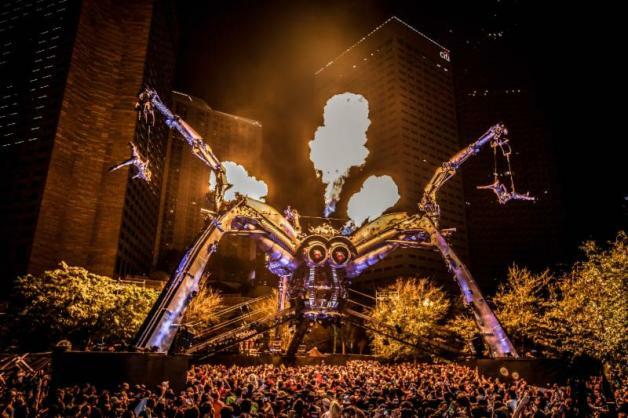 “After planning for last year’s Arcadia 10th anniversary event to be a one-off celebration, we received such strong feedback that we hoped to creatively evolve the event for a second year with a host of innovative new performance elements”.